If you have any questions about the ASTONDOA A138GLX information page below please contact us. Coming from the Astilleros Astondoa (Rodriguez Group) ship building company in Spain the ASTONDOA A-138-GLX is 43 metre 141 (ft) in length. Superyacht ASTONDOA A-138-GLX is able to accommodate up to 18 people with 7 professional crew. She can attain a top speed of 20 knots. 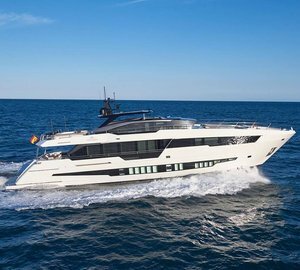 The ASTONDOA A-138-GLX is the flagship of the Spanish builder Astondoa and the yacht continues where the A 122.3 GLX left off. She presents a real masterpiece of design and luxurious spaces. The new Astondoa super yacht will have a semi displacement hull giving top speeds of 20-21 knots and cruising of 18. Astondoa Engineer was the naval architecture company involved in the professional superyacht design work for ASTONDOA A-138-GLX. Also the company Astondoa Engineer skillfully worked on this venture. In 2006 she was actually launched to triumph in Sta.Pola and post sea trials and final completion was afterwards handed over to the owner who commissioned her. Astilleros Astondoa (Rodriguez Group) completed their new build motor yacht in Spain. Her hull was constructed with steel. The motor yacht superstructure is fabricated predominantly using aluminium. With a beam of 8.6 m or 28 ft ASTONDOA A-138-GLX has spacious size. She has a shallow draught of 2.3m (7ft). The 12V 4000 M90 engine powering the yacht is built by MTU. For propulsion ASTONDOA A-138-GLX has twin screw propellers. The main engine of the yacht gives 2000 horse power (or 1492 kilowatts). She is equiped with 2 engines. The total power for the yacht is therefore 4000 HP or 2984 KW. Offering cabins for a limit of 18 visiting passengers overnighting, the ASTONDOA A-138-GLX accommodates them in style. The boat requires around 7 able crew members to maintain and sail. 42.5 metres / 141 feet. 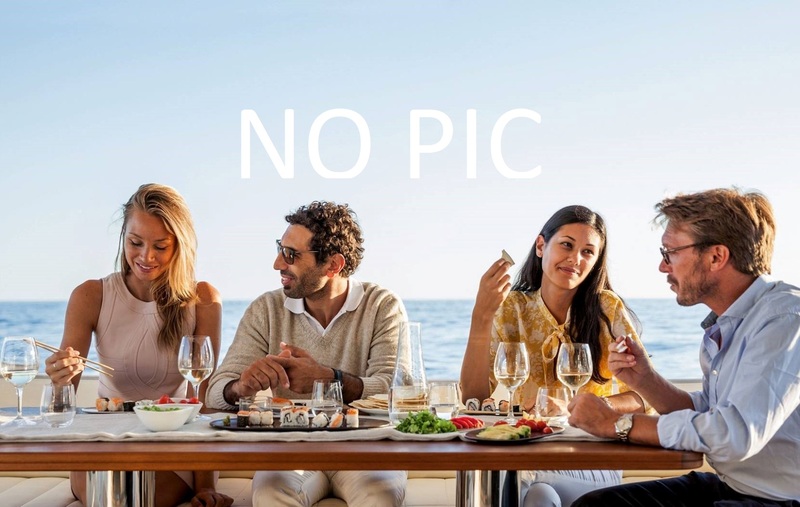 The luxury yacht ASTONDOA A138GLX displayed on this page is merely informational and she is not necessarily available for yacht charter or for sale, nor is she represented or marketed in anyway by CharterWorld. This web page and the superyacht information contained herein is not contractual. All yacht specifications and informations are displayed in good faith but CharterWorld does not warrant or assume any legal liability or responsibility for the current accuracy, completeness, validity, or usefulness of any superyacht information and/or images displayed. All boat information is subject to change without prior notice and may not be current.